Bloomington, MN – MatrixCare®, provider of the industry leading EHR for long-term care and senior living providers, has entered into a definitive agreement to acquire AOD Software (“AOD”) of Fort Lauderdale, FL. Serving over 800 Continuing Care Retirement Communities (Life Plan Communities) ("CCRCs") and other long-term care facilities, in addition to 1,400 home health and home care locations, AOD is the premier solution for CCRCs. The closing of this transaction is subject to customary closing conditions (including obtaining regulatory approval). John Damgaard, MatrixCare President and CEO, commented, "MatrixCare and AOD share many key values. Both organizations are energetic, fast growing, profitable, innovation-driven businesses that are addressing the fundamental challenges facing providers and consumers in the long-term post-acute sector. The businesses are also very complementary, with each having a strong market position in each of its areas of strength, and together having a portfolio of ancillary solutions that apply very well across care settings. MatrixCare provides the top-of-the-line solutions for skilled nursing and senior living facilities while the AOD product is the best in market for CCRCs. By integrating our collective technologies under a common care coordination platform, we will be able to offer the industry’s first true full-spectrum solution for helping the emerging set of conveners and diversified LTPAC operators to deliver superior care and better outcomes. While the LTPAC sector has historically been forced to make due with disparate technologies from sub-scale vendors, the combination of MatrixCare and AOD offers providers a stable long-term partner as we transition to a fee-for-value system". "Given our focus on long term value creation, OMERS Private Equity is very pleased to be supporting MatrixCare in its strategy to build the leading LTPAC technology vendor. We have strong conviction regarding the potential for a leading technology player to succeed in addressing the market’s needs and believe that scale is becoming increasingly important. The combination of Matrixcare and AOD creates the leading scale player across multiple care settings." said Lisa Melchior, Managing Director, OMERS Private Equity. 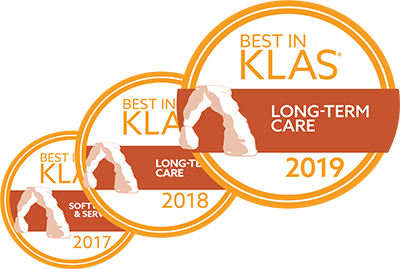 MatrixCare solutions have powered the long term care continuum for over 30 years. MatrixCare is the largest LTPAC technology provider in the US and the first to offer a true full-spectrum solution. Used in more than 12,000 facility-based care settings and 2,000 home care and home health agency locations, MatrixCare’s solutions help skilled nursing and senior living providers, life plan communities (CCRCs), and home health organizations to prosper as we migrate to a fee-for-value healthcare system. Visit www.matrixcare.com and www.carecommunity.com for more information. MatrixCare is a portfolio company of OMERS Private Equity. AOD is the premier solution for CCRCs and the industry’s leading provider of integrated clinical, financial, operational, home health/home care and point-of-sale solutions. As the leading healthcare software company focused on seniors, AOD provides interoperable software solutions that increase efficiencies and drive quality improvement initiatives across the entire spectrum of care, including continuing care retirement communities, assisted living facilities, skilled nursing home facilities, independent living, rehabilitation and home health/home care agencies. Soneto™, AOD’s cloud-based software system for home health and home care, is uniquely designed to handle the needs of Private Duty, Medicare and Medicaid agencies. Visit www.aodsoftware.com for more information. About OMERS Private Markets (“OPM”) and OMERS Private Equity Inc.
OPM (Borealis and OMERS Private Equity) invests globally in private equity and infrastructure assets on behalf of the OMERS pension plan. Investments are aimed at generating superior, risk-adjusted returns to help deliver strong and sustainable pensions to OMERS members. OPM has offices in Toronto, New York, London and Sydney. OMERS is one of Canada’s largest pension funds with net assets of CAD$72 billion. For more information, please visit www.omerspe.com or www.omersprivatemarkets.com.